The work-from-home life is the best and also the worst. On one hand, you have a somewhat flexible schedule, a cozy environment, a private supply of coffee, and no one physically breathing down your neck. On the other, you might find yourself scrambling to convert prospects into clients and maintain a predictable income — granted, you started this journey knowing the WFH lifestyle is anything but predictable. Still, it would be nice to know that you've taken care of yourself down the road and saved for retirement. When your income varies, how do you save for the day when you'll park on the beach, sip margaritas, and soak up the sun with a good book? It begins with a dream plus some actionable strategies for making your vision a reality. You file a joint tax return. Your income must be as large as your retirement fund contribution. For an IRA, the spouse gaining the contribution needs to be under age 70.5, while a Roth IRA poses no age requirements. The account must be made in your name, not your spouse's, and you will make all contributions with checks deposited by the deadline on April 15th to earn tax benefits. Contributions can be made by your spouse whether you're employed or not, but there are limits. Start with as little as $50 as a deposit and a monthly contribution. A Roth IRA is an individual retirement account that allows you to make contributions. Withdrawals and earnings after age 59.5 are tax-free. With after-tax dollars, you can lock in existing tax rates for savings down the road. If you contribute $5,000 annually starting at age 29 and retire at age 65, your IRA balance could be worth $796,687, with a marginal tax rate of 24% and an expected rate of return at 7%. As of 2018, you can make a maximum contribution of $6,000 annually, and when you reach age 50, you can contribute an additional $1,000 to do any catching up. Budget what works for you right now and calculate how much you’ll have saved by the age you want to retire so you can adjust as needed. You don't have the minimum distributions required with a 401(k) and traditional IRA, so the benefits are abundant, such as passing on money to your heirs worry-free. You have no limit on how you use contributions, but remember that distributions are taxable. You can go through a broker or a robo-advisor when you open your Roth IRA, depending on how you prefer to manage and maintain your retirement account. Spousal Social Security benefits were originally designed to bolster retirement finances for out-of-work spouses, but the cap exists at nearly half of the primary earners’ benefits. For couples in this scenario, one income means decreased lifetime benefits over those who take home two paychecks. Maximize joint lifetime benefits where possible by taking on a part-time job or consider a deferred fixed annuity if you’re short on guaranteed annual income. In your retirement years, Social Security will provide some relief. Yes, self-employment retirement accounts, known as SEP-IRAs, exist. 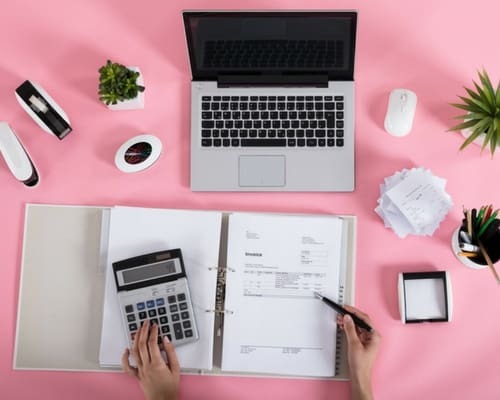 If you're flying solo in the WFH lifestyle, a Simplified Employee Pension (SEP-IRA) is your best bet because you can contribute 25% of your net earnings annually, up to $55,000. Acronyms like SEP-IRA sound like more tedious items to memorize, but the application process is simple: All you do is fill out a one-page form called the 5305-SEP. Stroll down to your bank an open a SEP-IRA account there. A relationship banker will guide you through the first steps. Profit-sharing plan: You decide the amount you contribute annually, up to 25%. Money purchase plan: You must contribute a fixed percentage of your income annually, up to 25%. Defined-benefit plans: These are basically traditional pension plans. You have a stated annual benefit you get upon retirement, which is based on years of service and salary. Your contributions are estimated by an actuary based on age and expected returns. No additional annual contribution limitations are present. College students take gap years all the time. Teachers have their summers off. Why can't you take your own mini-retirement? Millennials spend on experience over possessions and aren't keen on retirement for a reason: 63% focus on saving for the financial freedom to live life to the fullest in the now. They expect to work past the traditional retirement age, having endured substantial student loan burdens for years and the difficult emergence into the workforce post-9/11 and post-Recession. If you expect to work for most of your life, you should still save for retirement or to take mini-retirements. Life is short, so planning isn't a bad thing. Too many people work too hard without considering their health. 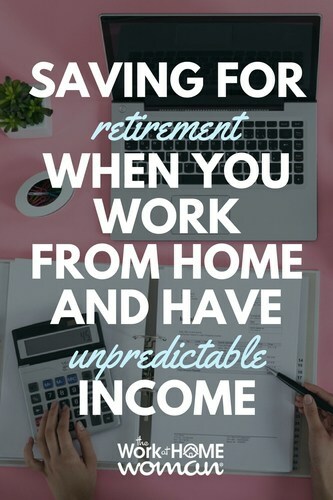 The beauty of dealing with an unpredictable income is that you come to realize what's important in life and where you should invest your money and energy. What are your priorities in your career and life? Get minimalist with your approach to your finances. Scale down your expenses, starting with your cable bill. Focus on green practices like riding your bike when you can. You work at home, after all! Take the cash you save and invest it into a savings account or open a retirement account. Taking on a renter is a possibility for those who wish to earn extra income to contribute to a retirement account, and the option comes with its positives and negatives. The extra income is helpful, but you must decide what kind of person you want to reside with — especially when working from home. The benefits win out if they work outside the home, are generally quiet, and pay rent reliably. Entering into the WFH lifestyle isn't for the faint of heart. You exhibit a strong and innovative attitude in your approach to work and life, so why not use that in your efforts to save for retirement? Typical retirement accounts may not fit you, but then again the WAH lifestyle is anything but typical. Rock your retirement savings and enjoy a good book on the beach. Make your vision a reality with a little ingenuity, determination, and small but confident steps. Glad you enjoyed Sarah’s tips!